SR Suntour was established by Sakae Ringyo Company with a capital investment of 45,000,000 NT$ in Tokyo, Japan. Established a factory and office with an area of 11,000 m² at 7, Hsing Yeh Road, Fu Hsing Industrial Zone, ChangHua, Taiwan, and began manufacture of mid- to high-end aluminium bicycle components. Office set up in Belgium. Started producing suspension forks for Mountain Bikes. Installed an automated like-motion press machine (500 ton) to produce cold. pressed sprockets and cogs. Started producing Mountain Bike magnesium forks. Installation of in-house 500-ton magnesium alloy die-forging machine for the production of magnesium MTB suspension forks, and began research and development of similar industrial products. In the context of a governmental cooperation project Taiwan based bicycle suppliers launched the “A-TEAM” to promote their activities. SR Suntour was elected as one of the founding members and started with the “TPS” method. 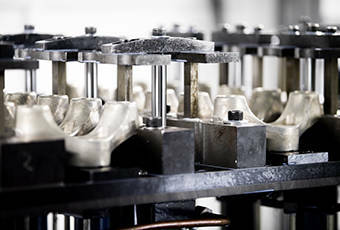 Developed its first lock out system for suspension forks and started mass production. First “A-TEAM” exhibition and congress carried out within SR Suntour. Factory in Kunshan mainland China was established, starting with the production of transmission and drivetrain products. Production start of the transmission system called “ICE”. In all three factories in Taiwan, Shenzhen and Kunshan the ERP system “TIPTOP” was introduced. Introduction of the „TOYO“ 500 tons magnesium die-casting machine. Started the development of the V-BOXX internal gearbox transmission. Coming from “A-TEAM” TPS method SR Suntour additionally started the “TQM” system. Two “MAZAK”CNC tapping centers and another “TOYO” 650 ton magnesium die-casting machine introduced. 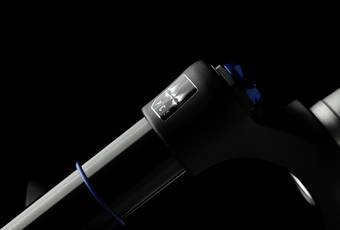 The V-BOXX wins the silver medal at the Eurobike design award. Powder coating production line established at the Shenzhen factory. Completion of the new building with 4,000 square meters over floors. ntroduced a production line for aluminum stanchion tubes. • Commenced sales of V-BOXX internal gear box. Implementation of 4 “TOSHIBA” 350 tons aluminum die-casting machines at Shenzhen factory. SR Suntour reaches a turnover of 40 billion yuan. Chairman Kobayashi succesfully finishes the Tour de Taiwan (cycling around Taiwan) with the A-TEAM members. Electric lock-out system development starts and the electric AXON-ELD goes on sale. Introduction of suspension forks with Q-LOC thru-axle system. Introduction of the “AIDA” 650 tons automatic press machine (September). Three new “TOSHIBA” aluminum casting machines of 350 tons and 500 tons introduced. Started the development of electric assisted E-bike systems at the Kunshan Plant. Developed a swing arm suspension fork and started selling the SWING-SHOCK fork. Preparations started for going public in Taiwan. Increase of capital to 500 million NT$. Started to develop a bottom case made of carbon, the top-end model AXON-WERX carbon goes on sale. Developed a new lightweight lockout cartridge, started selling AXON-RL-R, and EPICON-RL-R. The newly completed factory in Kunshan goes operational in November. Reached sales of 6 billion NT$ with the total SR Suntour group. Women’s MTB athletes using the “AXON” full carbon fork suspension won the gold medal at the Olympic Games in London. Start of the TWIN SENSOR E-BIKE components production. Established SR Suntour France SAS. SR Suntour is striding into the future of high-end products. Our own carbon manufacturing facility enables the production of the carbon hybrid bottom cases as well as the carbon crown. Established SR Suntour Italy S.R.L. HESC E-bike Components win TAIPEI CYCLE d&i awards 2016. Launch of the R2C2 and RC2 cartridges with the new PCS - Piston Compensator System. SR Suntour (Vietnam) Co., Ltd. starts operation in June, 2017. 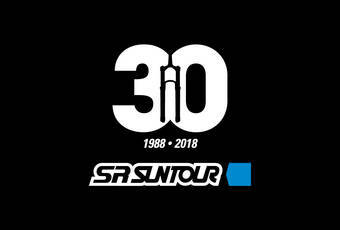 SR Suntour celebrating the 30th anniversary.